These Beers Cater Specifically to Women, But Will They Sell? Full disclosure: I’m a man. Beer has been marketed to me since long before I could even drink. Classic advertisements featured Budweiser swimsuits adorning curvy models. The St. Pauli Girl certainly wasn’t prepared for Germany’s cold winters. But beer isn’t sold like that as much anymore. Back in February, Coors admitted that fact when they openly proclaimed their new marketing campaign would equally target men and woman. And one of the biggest areas of growth in the beer world has been craft brews – which market themselves on the novel idea of simply being great beer. So the forthcoming High Heel Brewing is launching at a very interesting time in the industry. When its beers hit shelves in Florida next month, the company claims it will be the only beer brand exclusively catering to women. But as beers in general become more gender neutral, do women even want a beer brand to cater to them? As USA Today reports , more women are drinking beer now than ever before. For that reason, the instinct would be that the time is right to target females with a brew all their own. But women’s increase in beer consumption is a bit of a chicken-and-egg phenomenon: Is the growth in women drinking beer causing more brewers to advertise to women or is more gender neutral advertising helping to steer more women towards beer? I’d tend to agree with the former, and at least one expert, Emily Engdahl, who is executive director of the women’s beer professional group Pink Boots Society, agrees. “We don’t need a beer marketed to women because we need to market all beer to all people based on benefits of the beer itself,” she told USA Today, while also reminding the paper that 25 to 30 percent of brewing employees are women. 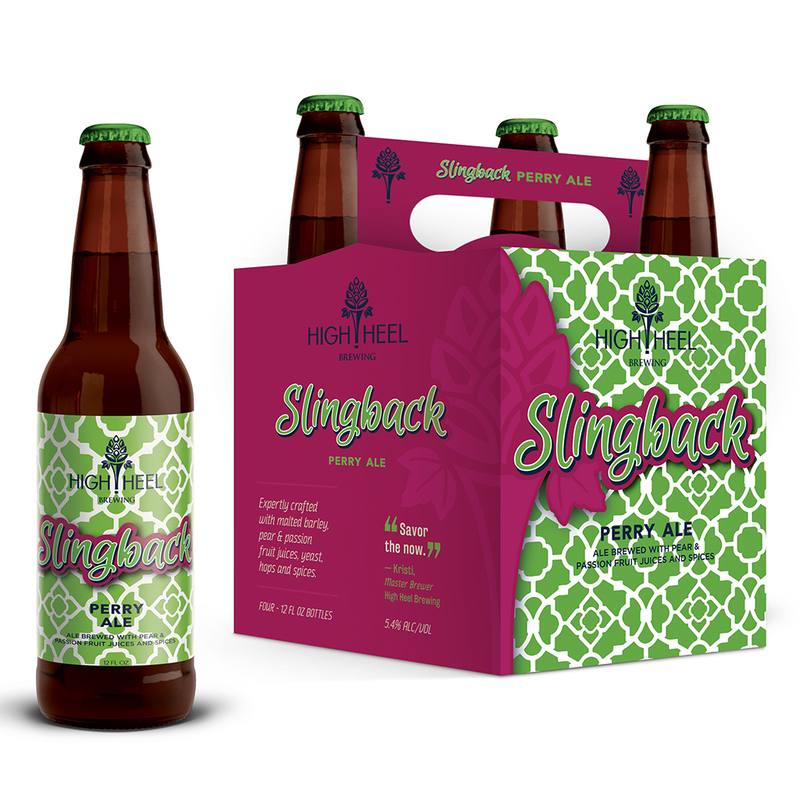 Regardless, next month, Floridians will see two High Heel Brewing products on store shelves: a Slingback Perry Ale made with pear, passion fruit, chamomile and elderflower, and a Too Hop’d to Handle IPA that’s spiked with a touch of Belgian candy sugar. The packaging features bright patterns. The logo is a hop on top of a stiletto. But founder and brewer Kristi McGuire (whose experience includes a degree from the acclaimed brewing program at UC Davis and time developing recipes for craft outfits like Alaskan and big companies like Anheuser-Busch) claims she’s not just trying to pander; these are solid brews in their own right. “In the past, it was assumed women wanted sweeter and lighter beers and that’s just not the case,” McGuire said. Whether they will want a beer more when it comes dressed up especially for them remains to be seen.